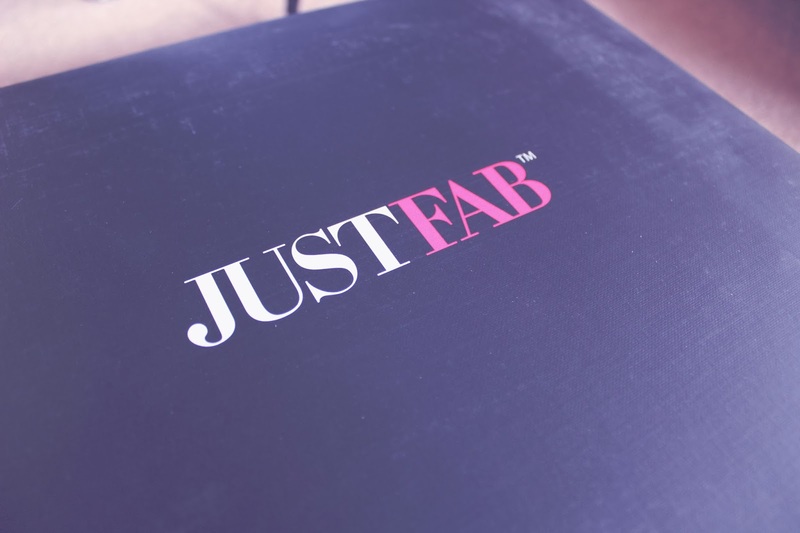 Shoes - JustFab I came across the JustFab website quite a while ago, but never really payed it major attention. However, on a recent internet trawl, I decided to check out the website, deciding I was in need of a new pair of heels (obviously). So this is how website works; you go through a short questionnaire style process, choosing which shoe styles, materials, heel heights etc. that you want to see in your showroom, which you arrive at after completing the questionnaire. 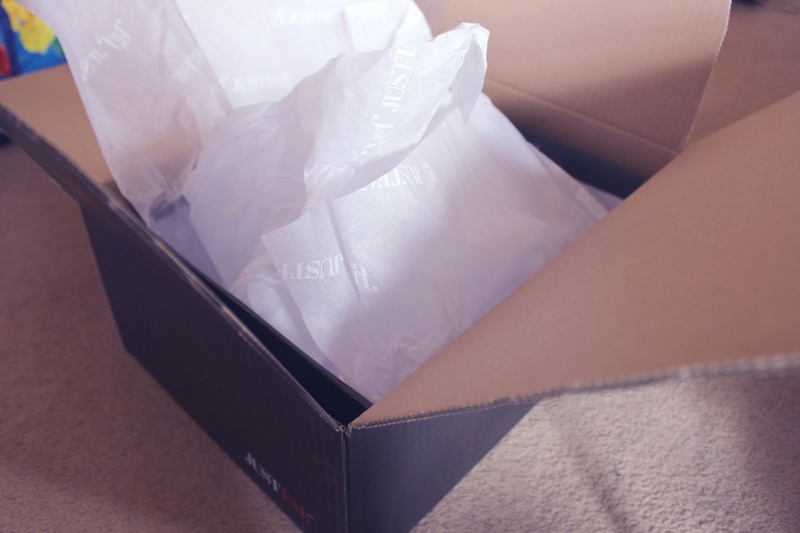 All heels and bags are £35, which I think is an amazing price to begin with, and they have a number of deals on as well, like 50% off your first pair, or buy one get one item free, so it's really great value! I was actually pleasantly surprised at the choice of shoes they had! 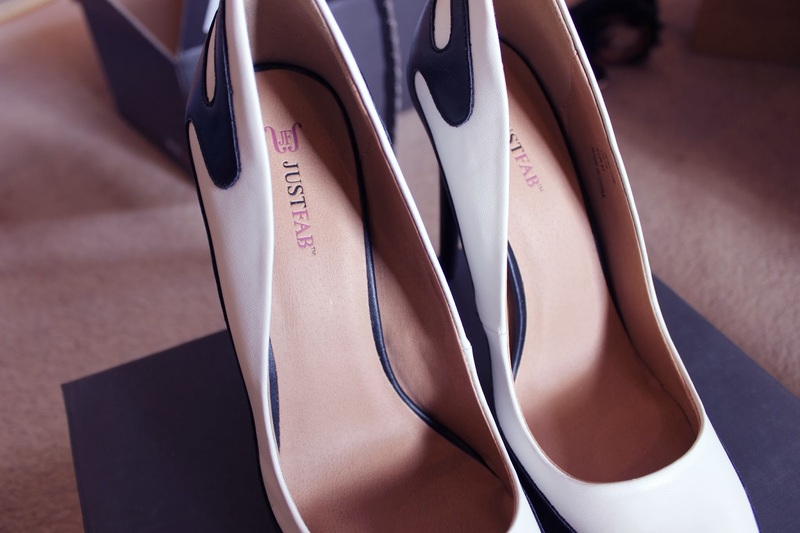 There were so many styles to choose from, from pretty flats to lovely courts. 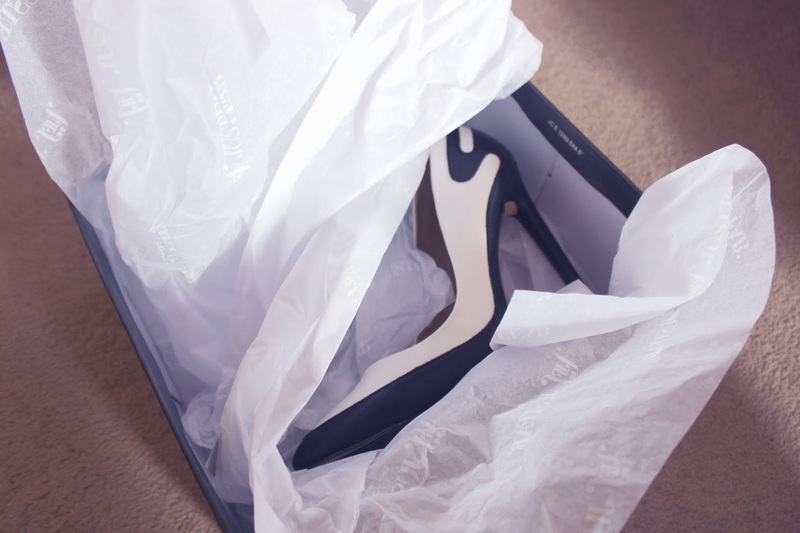 They had some really unique styles that I have been struggling to find on the high street, and in the end I chose these monochrome courts, which I am rather in love with and did not want to take them off. They are a great fit and look good quality, which, for £17.50, is pretty amazing if you ask me!